Taj Samudra Colombo emerged victorious at the Bocuse d' Or Sri Lanka 2017 competition held recently. The winning concoction was the 'Best Dilmah Tea-Inspired Dish'. 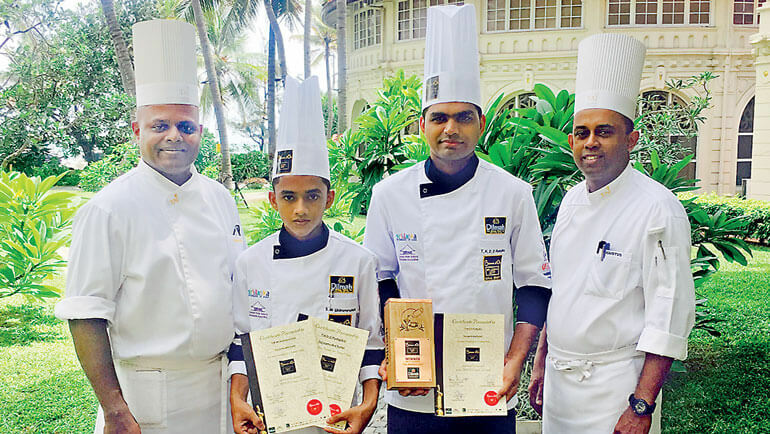 The two extremely talented chefs from Colombo's most picturesque hotel, the Taj Samudra Colombo were hailed as winners, following the extremely competitive event held, pertaining to culinary skills in the island. Chef T.H.D.D. 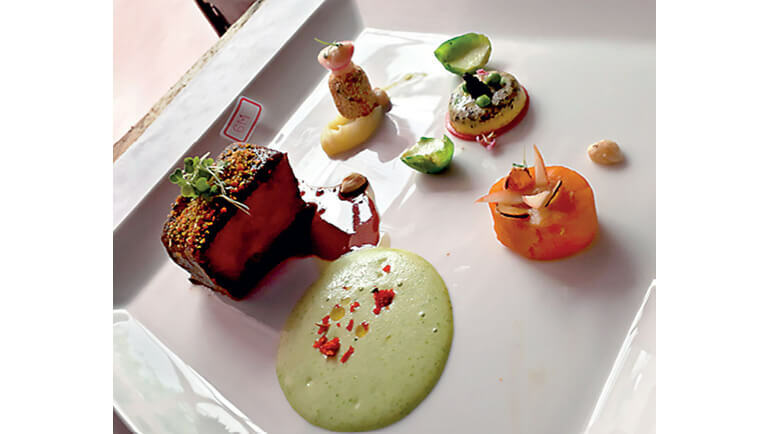 Pushpika Commis - 1 is a versatile Chef, who has already won Bronze, Silver and Gold medals in the 2011, 2013 and 2015 Chefs Guild competitions respectively. His expertise and experience in the gourmand was further enhanced by the creative capability of Chef S.M. Wickramarachchi, a Trainee who joined the hotel recently. The duo raised the bar in terms of style, creativity, authenticity, taste, and presentation to receive the coveted award at the gala event. The winning dishes were authentic, epicurean delicacies, aptly named for their infusion of tantalising ingredients. For instance the 'Repertoire of Round Island Barramundi,' consisted of farm barramundi, rock lobster roulade barded with macadamia, mustard cress, smoked tofu celeriac puree, Dilmah lychee and ginger tea infusion and a fine essence of lobster bisque. The 'Interpretation of US Choice Beef Striploin' drove the senses into a frenzy with its morel mushroom and corned beef barded beef striploin with bush herbs, Brussels sprout mousseline, Dilmah elder flower with cinnamon and apple tea infused finest beef jus. The participants, who are valued employees, were given unstinted support by the hotel which upholds the unique talents of each person. 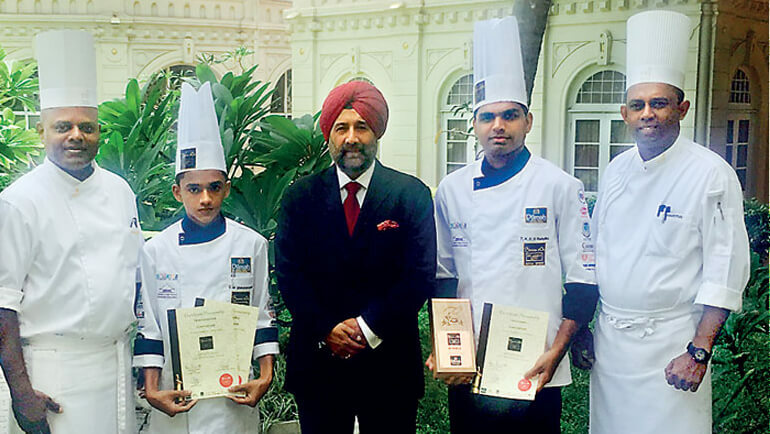 Area Director Sri Lanka and Maldives and General Manager Taj Samudra Colombo Sarabjeet Singh commented on the burgeoning talents of their associates and the recent win at the Bocuse d'Or 2017: "We at Taj Samudra Colombo are exultant about the win as it showcases the amazing creativity and scope our associates are endowed with. We grant employees the carte blanche in their field of expertise and we are keen to promote them as individuals who have and can reach the pinnacle in the service and hospitality sphere." Taj Samudra's Executive Chef Manjula Wickrema himself is a skillful exponent of cuisine a la mode and guides his team with aplomb. 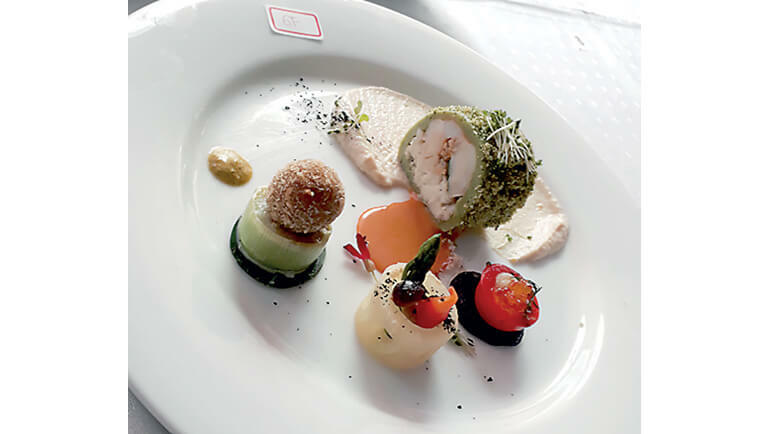 The participants of the Bocuse d'Or Sri Lanka were coached by Chef Augustus, who carved a name for himself as the World Cup Gold Medalist in 2010, Bocuse d' Or National Champion in 2013 and represented Sri Lanka at the Shanghai China Bocuse d' Or event in 2014.